Fort Walton Beach, FL, is located on the Emerald Coast of the Gulf of Mexico, in northern Florida's Okaloosa County. A city of approximately 20,000 people, it is a tourist destination and is primarily known for its beautiful wide beaches, its focus on family-friendly activities, and its year-round mild climate. Historical museums, a science center, and opportunities to view wildlife in the aquarium or in the calm Gulf waters are major attractions in the area. 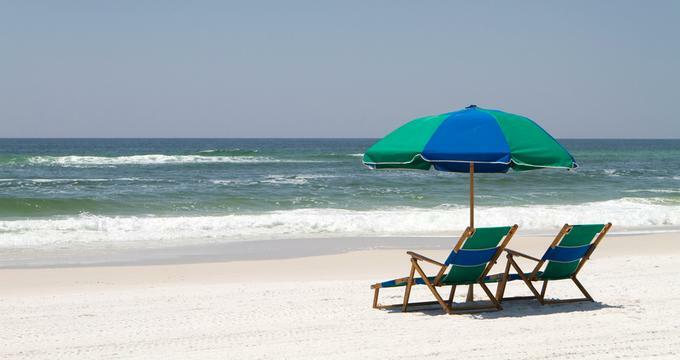 Here are the best things to do in Fort Walton Beach, Florida. The Emerald Coast Science Center's goal is to inspire a life-long interest in science, and does so by enabling children to have fun with scientific developments. The science center houses many interactive exhibits and high-quality educational programs in the fields of robotics, color and light, and physics. Kids are invited to fly and land a model plane in a wind tunnel, to guide robotic arms, and to interact with animals such as snakes and parakeets in the critter exhibit. Weekly features of the science center include hands-on experiments and story-time. There are monthly workshops for home schooled children, and class field trips are always welcome. The Air Force Armament Museum presents a history of aircraft, bombs, guns, missiles, and rockets that were used by the United States Airforce in WWII, and in the Korean, Vietnam and Gulf Wars. Inside the museum are four vintage aircraft, a large collection of weaponry, and interactive cockpit simulators. Outside, visitors can view 29 aircraft dating from WWI to present, including the fastest plane ever built, the SR-71 Blackbird. A 32-minute film about the Eglin Air Force Base and its role in developing armaments is presented every day at regular intervals. The museum's gift shop sells high-quality commemorative souvenirs. The Gulfarium Marine Adventure Park is an aquarium with a difference. It focuses its attention on educating visitors about marine life through personal encounters with wildlife. Visitors to Gulfarium may dip their hands into a pool filled with gentle stingrays, touch juvenile alligators, feed snacks to loggerhead turtles, snorkel with stingrays and sharks, feed and touch African penguins, stand on a submerged platform for up-close time with friendly bottle-nosed dolphins, and meet and touch approachable seals and sea lions. Arrangements can be made for visitors to shadow a marine animal trainer, or to have a delicious breakfast in the dolphin enclosure. Kids will get a thrill out of a child-oriented reptile safari that will permit them to learn about and touch turtles, lizards, snakes and alligators. The Indian Temple and Mound Museum pays homage to the 12,000 years of Native American occupation that occurred before European explorers and settlers came to the Emerald Coast. The Native Americans in the area were intensely agricultural, and built mounds for burial and sacred purposes. Most of the museum's 1,000 artifacts are from the period 1100-1550 AD, although it does have a fine collection of much-earlier prehistoric ceramics. In 1528, Spanish explorer ÁlvarNúñezCabeza de Vaca came to these shores, and the museum has some items from this exploratory period, and from the early settlers of north western Florida. Visitors may climb steps level with the top of the prehistoric mound, although climbing on the mound itself is strictly forbidden. Wild Willy's Adventure Zone welcomes kids of all ages for dinosaur-themed fun. Indoors, in air-conditioned comfort, kids can explore the 17,000 square foot arcade, a 3D movie theater where the seats move along with the action, and a laser maze which challenges participants to climb over and slither under laser obstacles. Outside there are two mini-golf courses, one with scary animatronics designed for older children, and a little kid's course with cartoonish baby dinosaurs. There is a rope climbing course, a unique roller coaster with spinning seats, a reverse bungee trampoline, and remote control boats with a military theme. Hungry adventurers will enjoy the pizza joint and the ice cream parlor at the park. Goofy Golf has been operating in Fort Walton Beach, Florida since 1958, and has always been an inexpensive way of spending quality times outdoors with family and friends. Goofy Golf has two 17-hole courses, and share the 18th hole, which is called “The Snake's Mouth.” Goofy Golf offers tournaments, day passes and t-shirts. The course has a mascot, a 23' tall model T-Rex named Hammy. The mini-golf courses are favorites of visitors and locals, some who have been coming to play the two courses since its inception in the 50s. The Fort Walton Beach Flea Market is indoors, air-conditioned, and has over 70 different vendors and a food counter for quick meals and drinks. In its 14,000 square foot home, visitors and local residents can find a constantly-changing array of goods, including quality vintage clothing, purses, music, books, costume jewelry, musical instruments, art, furniture, and décor items. Many vendors sell antiques and are knowledgeable about their goods. Collectors will find treasures here, including Hummel figurines, gold and sterling silver jewelry, and baseball cards. A portion of sales at the flea market go to help local charities, including The Emerald Coast Wildlife Refuge. The Garnier Post Office Museum is part of the Fort Walton Beach Heritage and Cultural Center in downtown Fort Walton, and can be found behind the Camp Walton Schoolhouse Museum. From 1906-1917, the area's post office was located in the mercantile store of Mr. Euphrates M. Mooney, the first county postmaster. In 1918, the first formal post office was built at the junction of Mooney and Garnier Post Roads, with Mr. Mooney remaining in the role of postmaster. The small museum has a number of items from the early postal era of the county. It is open to the public and offers educational programs. Before the area was known as Fort Walton Beach, it bore the name Camp Walton, after the Confederate Army encampment that existed there in the 1860s. In 1911, a native pine and oak school house was built for area children, which opened in 1912 with fifteen students and one teacher. Grades 1-8 were taught in the one-room schoolhouse. In 1927, an extra room was added, and one more teacher hired to instruct students from grades 9-12. The school was closed in 1936 when the all-brick Fort Walton School was erected nearby. Visitors to the schoolhouse can see how early classrooms were set up, view actual artifacts of the school, and see under what primitive conditions students and teachers existed in the early days of Florida education. John Beasley Park is a huge waterfront park between the communities of Fort Walton Beach and Destin on Okaloosa Island. It has two timbered pathways leading over the sand dunes to the wide, picturesque beach, which is a quiet, family-oriented seashore, perfect for sunbathing, surfing and swimming. There are two large pavilions, one of which can be rented for special occasions. There are outdoor showers for rinsing off salt water and sand, and large restrooms with changing rooms. During peak season, beach chair and umbrella rentals are available; also during high season the beach has a lifeguard during posted hours. There is a large parking lot, and the beach is wheelchair accessible. Uptown Station is Fort Walton Beach's premier shopping district, with over 60 stores, services, and food vendors. Shoppers can buy anything under the sun at Uptown Station, which has stores dedicated to clothes, home furnishings, sporting goods, and everything in between. There is a large supermarket and a dollar store. People in need of pampering can get their hair done, have a manicure, or indulge in a massage at the spa. Hungry shoppers can eat their fill at various food stands, which sell subs, sushi, Korean food, fried chicken, burgers and fries, ice cream, coffee and pastries, and frozen yogurt. Central Park is a relaxing area of Uptown Station where kids can play at an amazing playground, and where shoppers can sit down in the village green and watch the dancing fountains. 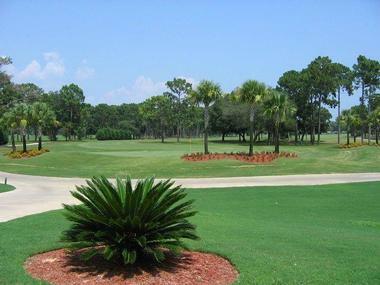 The Fort Walton Beach Golf Club, municipally-owned, offers two superb 18-hole championship courses, which are beautifully maintained, and set in pristine North Florida landscapes. The Pines Course is 6,800 yards, and is a challenge as it goes uphill through a pine forest. The Oaks Course is 6,400 yards, and plays through narrow, oak-lined avenues and over difficult water hazards. The Golf Club has a full-service restaurant, a large lighted driving range, and a golf shop. Charity golf tournaments are held at the courses throughout the year, and a Junior Golf Program runs through the summer months and offers free clinics. Membership is available in The Fort Walton Beach Golf Club, at a fraction of the cost of privately-run establishments. Parasailing is the sport of gliding through the air wearing an open parachute while being towed by a motorboat. 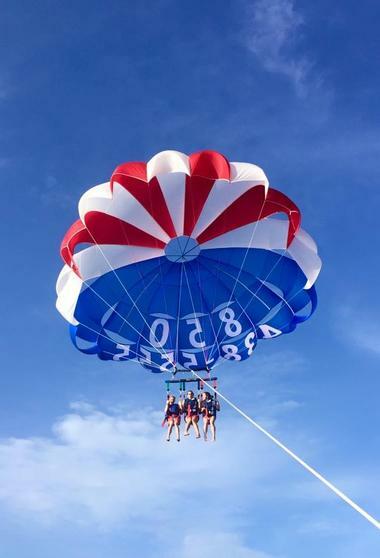 Fort Walton Beach Parasailing is the only company in the region that offers parasailing, and it guarantees safety, professionalism, excellent views of the entire Fort Walton area, and an experience that visitors will remember for the rest of their lives. Parasailers are loaded directly from a dock, and can fly alone or with one or two companions. The rides last between 30 minutes and an hour, and photo packages are available, offering photos taken by crew members with zoom lenses. Visitors wanting a discount should try the early bird or sunset tours, and there is also a military discount. The Downtown Arts and Entertainment District is a shopping and dining district, featuring award-winning cuisine, an annual art walk held in August, and fine boutiques selling art, antiques, jewelry, gifts, and equipment for scuba diving, snorkeling, surfing and sailing. The downtown area has a farmer's market, open on the second Saturday of every month, where visitors and residents can buy locally-grown produce, fresh dairy products, and a wide variety of handmade items. The many restaurants offer a broad choice of cuisine, including Mexican, Italian and deli food, as well as numerous pubs, sports grills and coffee shops. Salons, spas and fitness centers dot the downtown, and provide a perfect place for pampering in air-conditioned comfort.